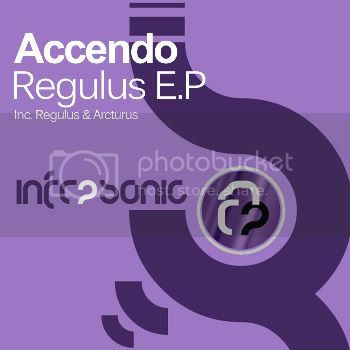 Thread: Accendo - Regulus E.P [Infrasonic Future] Out Now! 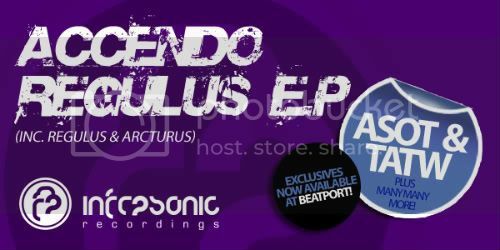 Accendo serves up release number 12 on the Infrasonic Future label with this slick two part E.P. Hailing from America but now residing in Cyprus Accendo have been an act that we have high hopes for in 2010 and he opens his account in the best possible way. Heading the package is Regulus. Very much in the same style as Mike Sonar's Luna which won applause from the Infrasonic massive this one is sure to work on a dance floor. Epic pads and carefully crafted vocal stabs make for a very pleasurable listen with the bassline adding that final cherry on the top! Arcturus completes the package. Different in style to that of Regulus but just as impressive this will cater for those who prefer a more driving trance track with its lush, crisp lead and pulsing bassline! A top debut from a guy with a big future!